Specialist ID teams up two of the best badge holders in this awesome duo. The plastic detachable hook reduces wear and tear put on the badge holder by many metal hooks. 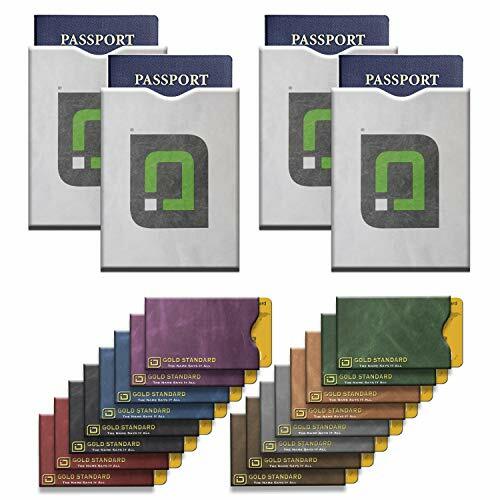 The ID stronghold dual shielded card holder keeps your card safe from unauthorized reading. Simply slide the card partially out of the holder when you want your card to be read. Specialist ID teams up two of the best badge holders in this awesome blue duo. The plastic detachable hook reduces wear and tear put on the badge holder by many metal hooks. 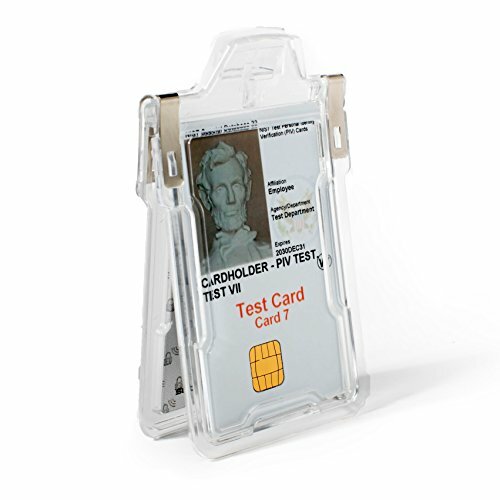 The ID stronghold dual shielded card holder keeps your card safe from unauthorized reading. Simply slide the card partially out of the holder when you want your card to be read. 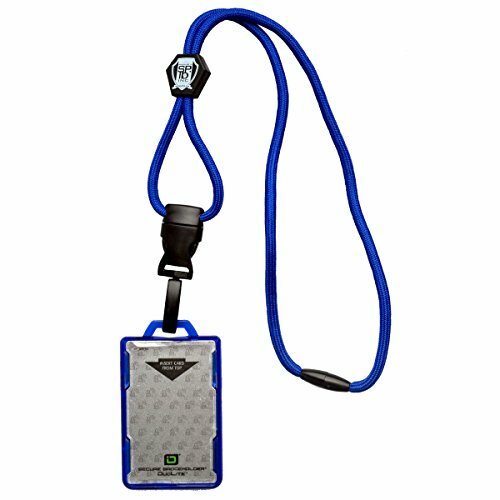 The Secure Badge holder DuoLite holds and shields either one or two cards. One side of the badge holder allows the card to be inserted and removed from the top. The other side allows the card to be inserted and removed from the side. You do not have to completely remove the card from the holder in order for it to be read. Simply by sliding the card about halfway out, you can easily present the card to the reader with one hand, which won't slow down throughput in PACS. 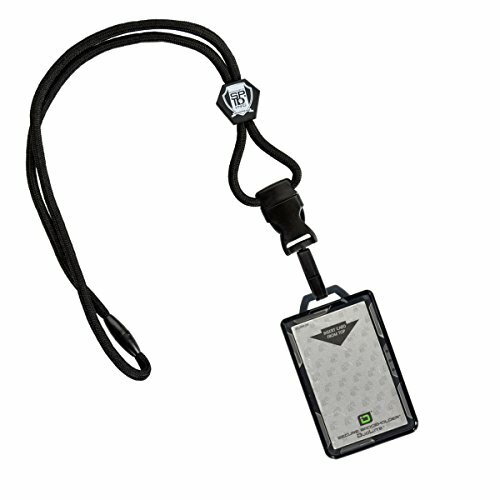 See the Secure Badge holder Duolite product animation below. Our Secure Badge holders are made of extremely durable polycarbonate. 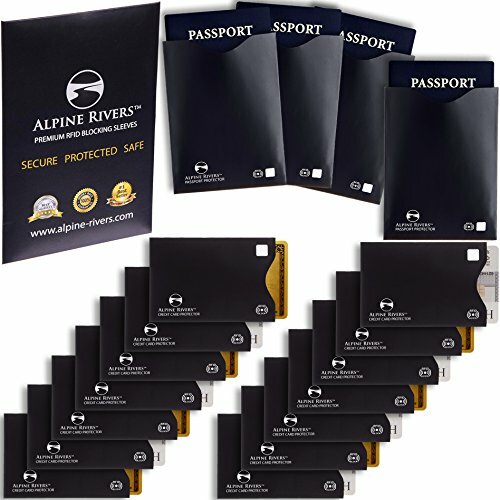 The state of the art unique open face design keeps cards locked in to prevent loss, yet allows easy access to remove them when necessary. Other holders on the market cover the face of the card, keeping debris and liquid trapped inside which can damage the card. Closed holders also make removing the card for reading and displaying difficult. 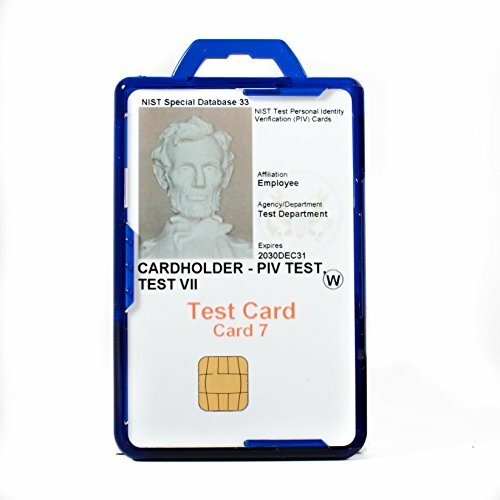 The perfect choice for TWIC, HSPD-12 PIV, CAC, HID iClass, LincPass and other RFID enabled cards. Don't risk identity theft, invasion of privacy, tracking, or even card cloning. Always keep your contactless cards in a shielded Secure Badge holder. This heavy duty combo comes loaded with many of our favorite features all in one bag. The heavy duty reel features a super strong alligator clip that can rotate 360 degrees, reducing wear and adding life to the 28" retractable cord. The no twist feature keeps your badge facing forward. Also included is a key ring for added versatility. 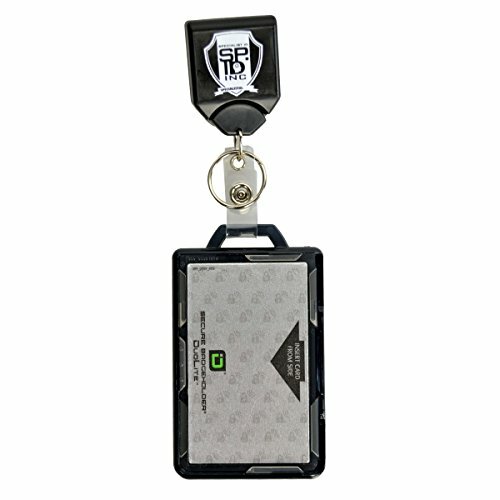 The Identity Stronghold shielded holder (IDSH2004-001B) is designed to protect your RFID information from unauthorized "skimming." 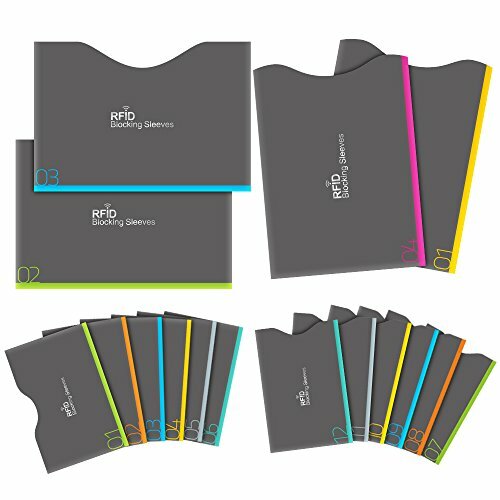 The cards must be slid partially out of the badge holder before they can be read, ensuring no unauthorized access to information stored on the RFID chip. Looking for more Identity Card Holders similar ideas? Try to explore these searches: Ball Chain Jewelry, Thistledown Collection Bath Light, and Parker Square Table Lamp. Look at latest related video about Identity Card Holders. Shopwizion.com is the smartest way for online shopping: compare prices of leading online shops for best deals around the web. Don't miss TOP Identity Card Holders deals, updated daily.